Jump the limitations of BASIC and write faster, more powerful, space saving programs even with no previous experience. 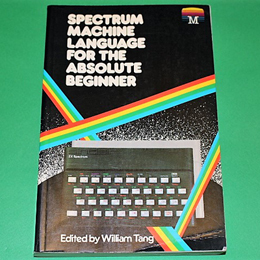 Each chapter of this book includes examples and applications as well as excellent tuition and self-test questionnaires bringing together a complete machine language program - an excellent book and one of the most popular. This 244 page paper back has a few scuff and wear marks and the page edges are a little dirty, but otherwise, the book is in good, completely usable condition.